• Used to reduce friction, prevent leakage, pressure isolation, to prevent loose or dispersion. • Flat washer is mainly used to increase the contact area and reduce the pressure. • If customers have any products of similar manufacturing methods, please send us the drawing and specifications. Surface treatment	 zinc plated,hot dip galvanized,plain dacromet,chrome plating,black. Effect	 To reduce friction, increase the contact area ,prevent leakage. Application	 Used in between the nut and bolt. Delivery Time	 The fastest 15-30days,According to the volume to determine the delivery time. Looking for ideal Galvanized Holes Washer Manufacturer & supplier ? We have a wide selection at great prices to help you get creative. 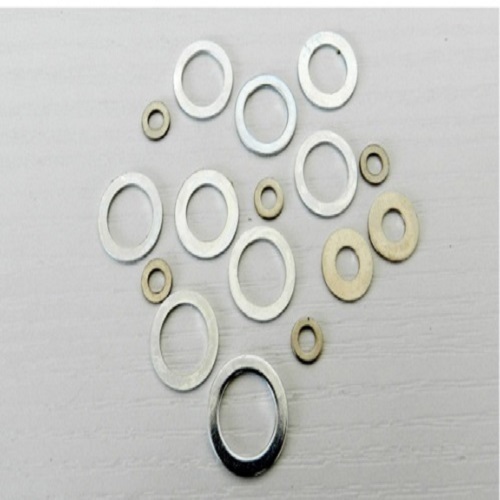 All the Copper Ring Gasket are quality guaranteed. We are China Origin Factory of Round Hole Washer. If you have any question, please feel free to contact us.